Many of us over-breathe without realizing that we are doing it, especially when anxious. Often it’s only when we start to feel dizzy or faint or our hands and feet start to tingle that we notice that something is wrong. The symptoms of over-breathing are due to the lack of oxygen we are taking in as we fail to fill up our lungs enough. The weird thing about over-breathing is that you can feel that you are not getting enough air even when you are gulping lungfuls of it. If you try to breathe more when over-breathing it will actually make you feel worse although this is not dangerous to your health. The traditional remedy of breathing into a paper bag can certainly help but you may find that the following controlled breathing exercise produces better results. If you ticked one or more of these in your head, then it is likely that you over-breathe. moments out of your day to try this sitting at your desk or even standing. 1. Put one hand on your chest and one on your stomach. 2. Breathe in slowly and deeply through your nose, letting your chest and stomach swell out with the breath. Look down at your hands and check that the hand on your stomach is moving. If so, this is good as it means that you are filling up your entire lungs and not just breathing shallowly into the top of them. The ideal is to see both your hands gently moving as you breathe. If they are not, try pushing out your stomach very slightly as you breathe in. This will encourage you to breathe from the top of your lungs all the way to the bottom. 3. 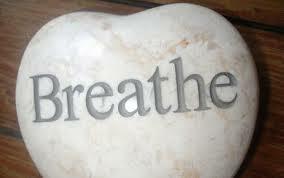 As you breathe in keep it slow, gentle and quiet, aiming to inhale to a steady count of three or four. No-one else should be able to hear you breathe. If you can hear yourself, you are over-breathing. 4. Once you have breathed in, hold that breath for a slow count of three or four. Then breathe out again, just as slowly and quietly as you breathed in, again to a slow count of three or four. 5. After you have exhaled all the air, pause for a moment. Don’t race to take in your next breath but do it only when you feel ready. 6. Repeat, trying to get a rhythm going. Keep counting slowly and keep the breathing slow, deep and silent. Do this for at least 5-10 long, slow breaths and then relax and ease out your shoulders, head and neck. So now that you know whether or not you truly are an “over-breather” you can implement these suggestions on a regular basis, and move through this worrying habit of anxiety in time calmly, and confidently. 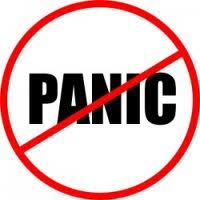 If you’re tired of searching for a natural solution for your anxiety online and offline, let The Anxiety Guy team help you find a natural solution that has been proven to work over and over for many anxiety sufferers. Visit www.theanxietyguy.com to learn more about the End The Anxiety Program.